Unless you’ve been living under a rock you must have heard of CBD oil. There’s been so much press about it with everybody talking about its health benefits and what it can do for your body. If you haven’t stumbled across any of these headlines, never mind, some of the claims may not even be true, or at least may not have been scientifically proven. If you want to give CBD oil a go, you should try it because some of its proven benefits, not because some people say it may work for this or that illness or health issue (although it doesn’t harm trying it anyway). In case you didn’t know what CBD oil was, it’s an oil extracted from a cannabis plant. But don’t worry, it’s not going to get you high. 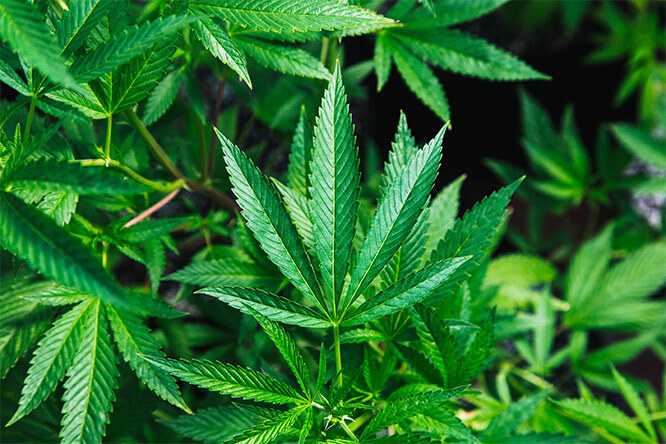 The main compound that it contains, CBD, is not psychoactive, meaning it won’t affect your mind or behaviour (the compound in cannabis that gets you ‘high’ is called THC). CBD oil has been proven to work on all sorts of pains and this is nothing new since marijuana has been used for this purpose for thousands of years. But it’s only more recently when scientists discovered that pain relief is actually due to very specific compounds in marijuana, including CBD. CBD oil can help with chronic pains such as back pain, arthritis pain, pain related to multiple sclerosis and other types of pains. You can use it for muscle recovery, period pains and even for a migraine (although there is a lack of scientific evidence about its effectiveness for this purpose, it’s still worth trying if you haven’t found an effective treatment yet). CBD has also been proven to work on cancer-related pain in patients who did not experience relief from pain medication. If you struggle with anxiety or depression, CBD oil is something worth exploring as it has an ability to act on the brain’s receptors for serotonin (this is a neurotransmitter that regulates mood and social behaviour). There have been some studies showing some promising effects of CBD oil on mental health. One study has shown that CBD oil helps to reduce anxiety while another study (on animals) has shown that CBD induces antidepressant-like effects. There has also been a study on children with post-traumatic stress disorder and in this case, CBD was shown to safely treat insomnia and anxiety. More studies and research are needed to see how effective CBD is at improving someone’s mental health but there is definitely some hope for those looking for natural alternatives to prescription medication. Something that there is no doubt about CBD oil is its effectiveness for the treatment of epilepsy. This area of research has really progressed in the last few years and CBD-based medicines have been developed to help epilepsy patients control their symptoms. In the UK and USA, you can now even get a prescription for CBD-based medicines from specialist doctors. Many clinical trials have shown that CBD works for epilepsy by decreasing a frequency of seizures. Millions of people worldwide are affected by Parkinson’s disease (PD) which is an incurable condition causing a range of motor and non-motor symptoms. Over time, as this disease progresses, the quality of life significantly decreases and when PD reaches stage 5, patients require a full-time care. While there are medications for this condition, these don’t help with all the symptoms so alternatives such as CBD oil are being studied. So far, some studies have shown that CBD can help to improve the quality of life and sleep quality but more clinical trials are needed, to establish the effects of CBD on certain PD symptoms but also to see what doses are more effective. There is no cure for autism in children but CBD has recently provided hope to many for managing the effects of this disorder. There are many stories and testimonials online with parents reporting how CBD oil has helped their child and worked to improve their problematic behaviour and ease the symptoms of autism (including the symptoms of Asperger’s Syndrome which is a form of autism). 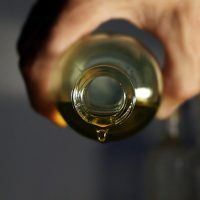 Desperate parents had experimented with CBD oil way before there was even any evidence that it truly helped with this condition but now we know that it does help, based on an Israeli study published in the journal Neurology. 60 children participated in this study and the results have been astonishing with 80% of the children showing an improvement in their condition when treated with a high concentration of CBD. However, the cannabis oil that was used for this study also contained 1% THC which is the main psychoactive ingredient in the marijuana plant. It’s not clear whether this concentration of THC is needed for CBD oil to have these effects. Unfortunately, in many countries you can only buy CBD oil legally if it contains only a tiny percentage of THC. In the case of the UK, CBD oil shouldn’t contain more than 0.2% THC. CBD oil has powerful anti-inflammatory properties which may help improve certain skin conditions such as acne and eczema. Initial studies have shown that CBD oil helps to reduce sebum production and effectively treats and prevents acne. However, more studies are needed to confirm these initial findings and to explore further the effects of CBD on acne. There is no doubt that CBD oil can help with various health conditions but it is still early days to know ALL the benefits CBD oil can offer. At the moment, there are lots of clinical trials in progress and research is on-going so we cannot say for sure that CBD oil works for certain types of health issues or has some benefits which people have reported but they have not been scientifically proven. This is definitely an exciting area of medical research and it’s very likely that in the future, researchers will show us that there are even more benefits of CBD oil. Meanwhile, I am sure that people will continue experimenting with CBD oil for their own conditions or health issues although CBD oil may not help. But there is no harm trying since CBD oil is considered to be generally safe and well tolerated. If you are based in the UK and want to try CBD oil for yourself, a great starting point is cbdoil.co.uk where you can find the highest quality CBD oil products at competitive prices. Have you heard of CBD oil and have you tried it for yourself yet? It would be great to know if it worked for you and how it may have helped you treat your health condition.